A ferry in the middle of a river crossing. A white woman sits on a buggy pulled by a horse while a man walks around the ferry. A man and a boy are visible in the background near an intersection and a gate, surrounded by trees. 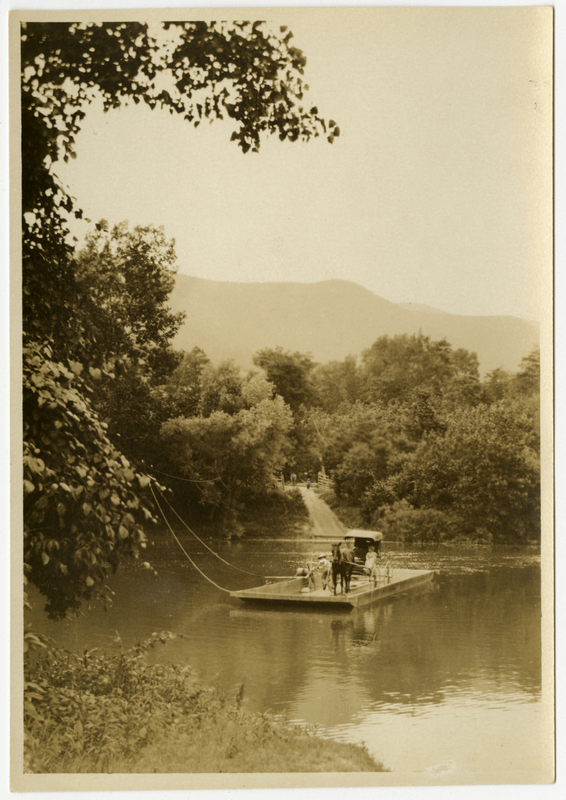 Johnson, Clifton, 1865-1940, “A ferry in the Shenandoah Valley,” Digital Amherst, accessed April 23, 2019, http://www.digitalamherst.org/items/show/5150.